The Gerber Multi-Plier 600 offers an innovative sliding pliers deployment. This means, however, that all tools are down-sized and must be opened from within the pliers. 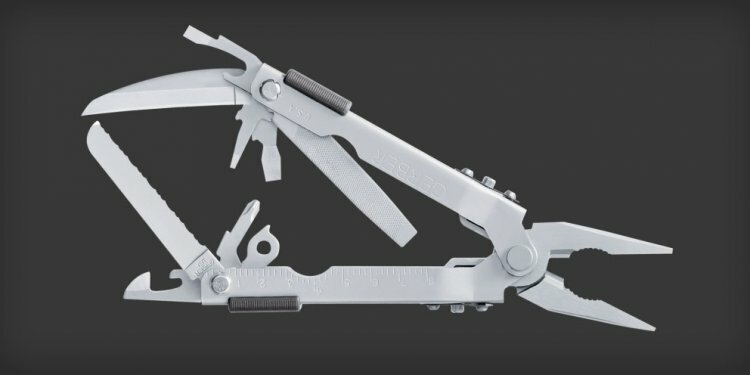 The Multi Plier 600 has exactly what you'd expect in a simple multi-tool, and nothing more. The small selection of blades, file, and drivers, augmented with both a can and a bottle opener, is consistent with most tools on the market in this price point. OGL testers regularly use the can opener on a multi tool, and we are thankful for the opener on this Gerber tool. However, having a separate bottle opener is redundant and a waste of space. A beer bottle can be opened just as easily with the can opener attachment. A wood-cutting saw would be an inexpensive and welcome way of filling the space left by omitting a redundant opener. Not to mention that Gerber's competitor has gotten scissors onto our Best Buy winner Leatherman Wingman at basically the same price point.